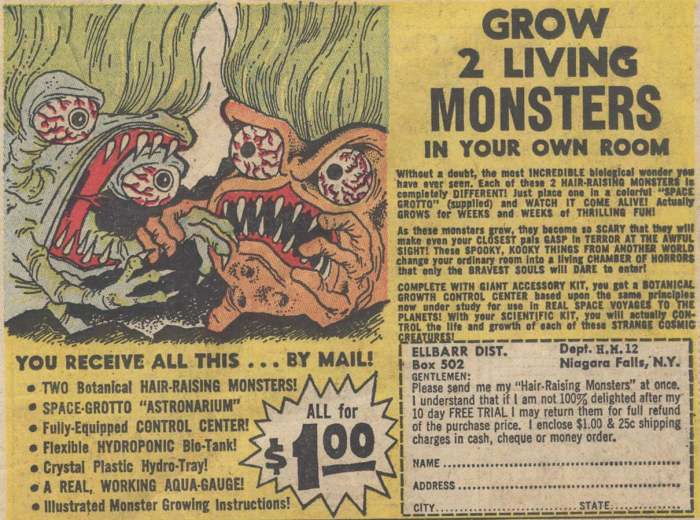 Ads like these made the comics I read as a kid so much more exciting. X-RAY SPECS! SEA MONKEYS! INCREDIBLE MONSTERS FOR A DOLLAR! Kids these days… they’re missing out, I tell you what.